1st Back brake line done. 2nd Bring on the weekend. 3rd Dinner at the Italian Club. 4th A few hours in the garage making more room. 5th Crazy day at work. 6th Interest rates dropped again. 8th A day off trying to keep cool. 9th BBQ breakfast at work. 10th Traing ride around Gembrook. 11th L3 disc really painful but the pain killers are helping. 12th In bed and in pain. 14th Moving around a bit more. 15th Back at work and taking it easy. 18th Looking at units for Marina. 19th Physio at Monash Medical Centre. 21st Last day at work. 23rd atching up with Alex. 24th Lunch at Erryn's Parents. 26th Lunch at Erryn's parent's again. 27th A lazy day at home. 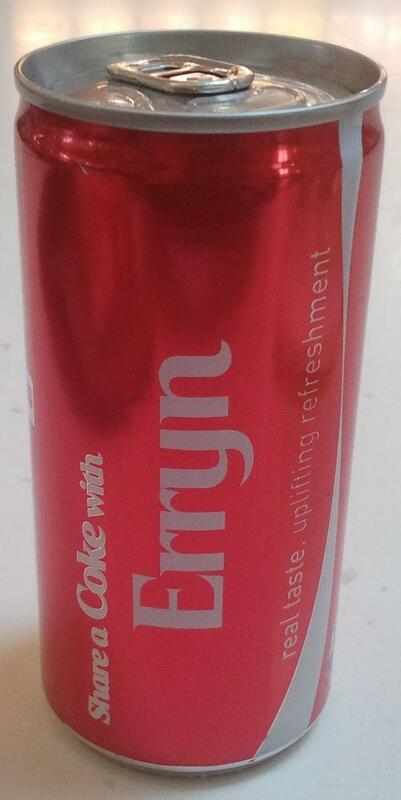 28th Sharing a Coke with Erryn. 30th Catching up with Alex and USA Foods. 31st Curry that turned into pizza.